Gold mining is in Jeannie Kelly&apos;s blood. But it&apos;s a dangerous time to be an honest miner in Nome, Alaska. Claim jumpers have invaded the territory. Jeannie has set her sights on Clint Tilghman, the strong, quiet man next door to her family&apos;s claim. Clint fights his feelings for the impulsive lady miner, fearing he&apos;ll lose his independence. Jeannie tries to change her tomboyish ways to attract Clint and gain respect from others, but there&apos;s a lot to learn amidst gun play and bar fights. Jeannie must woo Clint and beat the claim jumpers before summer&apos;s end. Note: also includes novella Worth Her Weight in Gold, set in 1886 in Juneau, AK. Ada Weiss is content to sing with her family at the new Juneau Opera House. But when she meets miner Tom Hickok, she wonders if there&apos;s more to life than the stage. For Tom, Ada is more precious than all the gold in the Treadwell Mine, but he doubts a regular guy has a chance with a beautiful singer. When a mob threatens to run their friend China Joe out of town, Ada and Tom work together and learn what their true characters really are. Quicksilver To Gold immerses the reader knee-deep in the gold rich waters of early 20th century Nome and the mindsets of those who lived that precarious lifestyle. 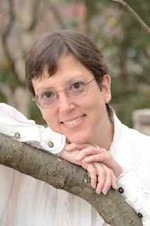 Lovegreen's characters are your friends, neighbors, and family through a window of time accurately portrayed by the author's knowledge of her own homeland. 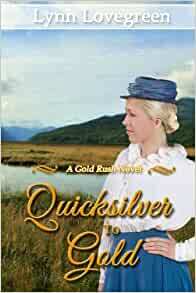 Quicksilver to Gold is the third book in my Gold Rush series. If you read Fools Gold, you'll recognize Ellie and Duke Masterson, who are secondary characters in this novel. And, of course, Jim and Ralph are here too! Enjoy! The story of Jeannie Kelly and Clint Tilghman unfolds against the majestic background of Nome, Alaska. Jeannie has mining in her blood, but being a young woman on the verge of blooming into an adult, she’s disappointed no one will listen to her. In a claim next to her father’s, Clint and his partner, Frank, work to fulfill their hopes of a major find. Clint and Jeannie soon meet and while they’re both taken with each other, their romance falters. Clint doesn’t want to give up his freedom and right to do what he wants and Jeannie isn't exactly sure he’s the one. With sage advice from two women friends, she becomes a lady hoping to win Clint over and to secure other’s respect. Unfortunately, claim jumpers move in and take their land and the judge has turned over the property to someone dishonest. For months they’d don’t know the outcome. A big storm hits Nome and Clint and Jeannie pitch in to help the others, but what will become of their future? Ms. Lovegreen gives the reader a real feel for what a miner of 1900 Alaska would have endured. The historic accuracy of the novel is precise. The details and the endearing story make this a great read for anyone from YA to adult. 5.0 out of 5 starsThis book was so much fun! This book was so much fun! Jeannie was a delightful tomboy, and I really enjoyed her attempts to turn herself into a perfect lady to catch Clint's eye. Some of Jeannie's "lady lessons" made me want to die laughing. Underneath the hilarity of the book was the beautiful truth that true love comes to those who are willing to be themselves. I enjoyed learning more about the Alaskan gold rush, and I also appreciated the stand the author took against racism. This book was a very satisfying story, and it left me eager to read another Gold Rush Novel. I really enjoyed the glimpse into life in and around gold-rush-era Nome. I appreciated that the author seemed to have good factual accuracy throughout the book (I learned a few things!) and presented a realistic picture of that part of Alaska in that era (as opposed to many authors of "Alaskan" books who don't actually live here and present ridiculous, unrealistic ideas of life here). The romance seemed a bit grade-schoolish and rushed, but I suspect that's in part because of that era and the quick progression of romantic relationships out of necessity and convenience. Overall the book was entertaining and well written, with a good cast of characters. Gold mining was hard work and was fraught with difficulties, which you'll get a taste of in this book. Even though romantic fiction is rarely a genre I read, I enjoyed seeing Jeannie, the main character, grow and learn through the book and become an even better version of herself by the end. Lynn Lovegreen takes you back in time and vividly describes what life during the gold mine rush of Alaska was all about...through the eyes of her main character Jennie- a heroine you like instantly. She is young, smart, wise and attractive...all a dangerous combo in a world of men, the only world she has known with her "da" and brothers. Can she slough off her tomboyish ways to attract the handsome Clint? This is a great tale of embracing who you are, struggling to achieve your goals, and discovering the value of family. A great read for all ages, not just YA. I learned a lot about this era of our history. Well told, well written.